Architect & hospitality design specialist in hotels, cruise ships, residential and integrated resorts. Andrew has over 20 years of hospitality design experience spanning a wide range of projects across the globe. 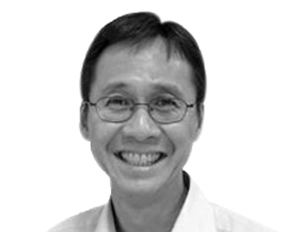 Prior to IRMS, he worked for Singapore’s largest integrated A&E firm, creating several historic and iconic conservation projects, numerous residential condominiums and commercial office projects around Singapore. An expert in all aspects of hotel and resort master planning, he has deep knowledge of the needs of various stakeholders in a project and has the ability to integrate those needs into the design planning. Over the last 10 years he has been a key part of the design management team behind Genting Group’s various developments; Resorts World at Sentosa, Resorts World Genting, Resorts World Manila, Resorts World Bimini, Resorts World Las Vegas, Resorts World Miami, Star Cruises and the recently launched Dream Cruises. He is considered an expert in design within the Genting ecosystem and is working on a set of brand standards for the developments in the group.